Windsor Spitfires Fan Package Winner! Congratulations to Nancy Laforet - Ticket #181 for winning the Windsor Spitfires Fan Package! Enjoy! Thanks to everyone who purchased a raffle ticket! Proceeds support programming at Life After Fifty. 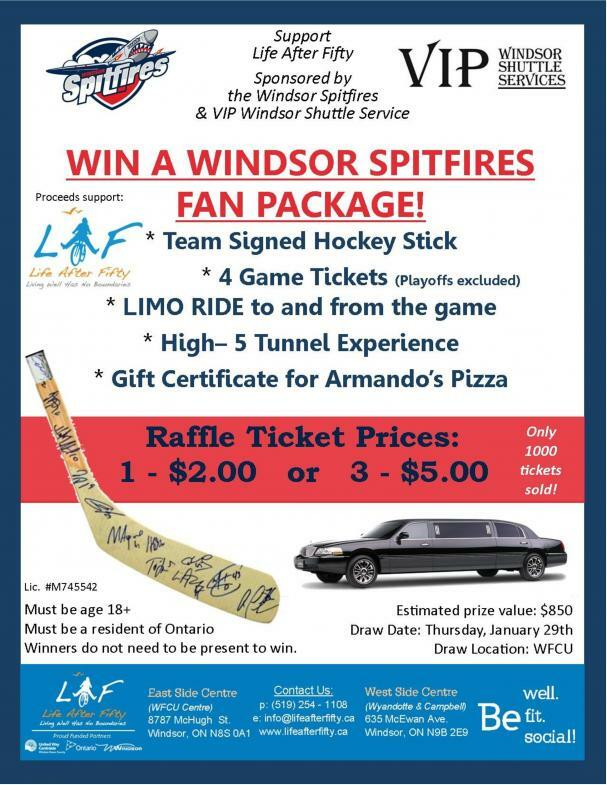 Win a Windsor Spitfires Fan Package! $2/ ea. or 3 for $5! Get your tickets at Life After Fifty today or email us at info@lifeafterfifty.ca to order your tickets! 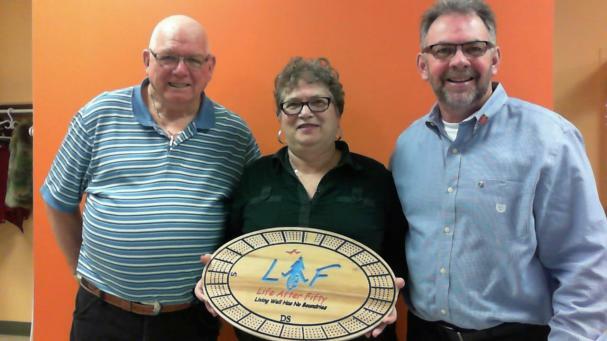 Thanks to our members Gail and Brian for this AWESOME engraved cribbage board! What a fantastic donation to the Centre - it will be well used! LAF all the way to the Bank Winners! KD & PB Food Drive - Success! Congrats to our members on a successful Kraft Dinner & Peanut Butter Food Drive this holiday season. - the Windsor Homes Coalition Inc. These items are two of the most expensive items that the food banks try to keep in stock consistently. Kraft Dinner can feed a family of 4 and peanut butter provides a source of protein when families aren't able to put meat on the table every day.